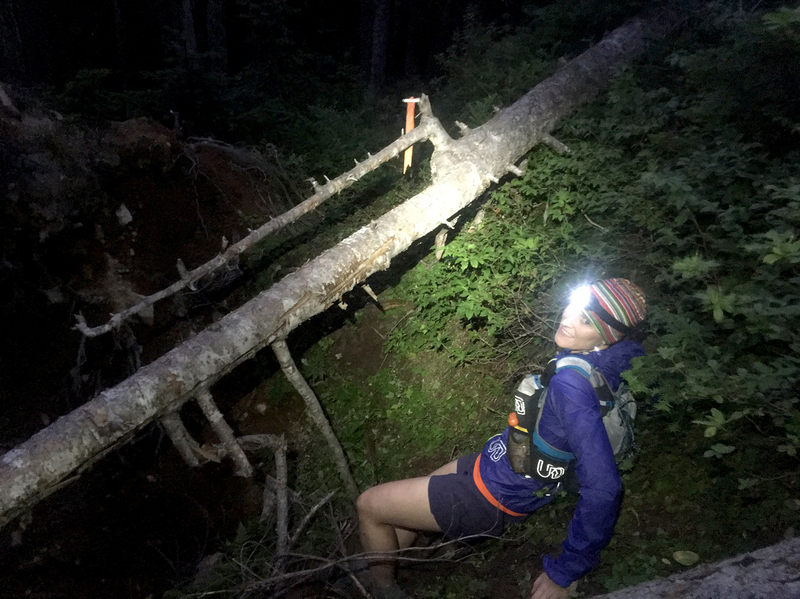 We ultrarunners like to think that we’re pretty invincible, that we’d be great in some sort of post-apocalyptic world full of zombies and chaos. I mean, come on, we can sometimes go 100 miles IN ONE DAY. So, if the city falls to martial law and the roads are jammed with thousands trying to flee? We’d just throw on some sneakers and go out for our daily 50-miler to the wilderness. Like no sweat. We’d be safe and sound in some remote mountain location in no time. We wouldn’t need the grid, we’d power our Keurigs with smugness and righteous indignation. But you know what? We’d be the first ones taken out in disaster dodgeball. We need snacks. Lots of snacks. And naps. So many naps. We are a population of lean, hungry, sleepy, twitchy people. And the boys always go out to fast. We spend so much time running head down that we get lost. A lot. In an event that the world ended, but provided us with a clearly marked trail and an aid station every 10 to 15 miles, then we’re golden. But ask us to walk more than 5 blocks to get a sandwich? No way man, that’s too far.